Malcolm Dawson writes…….“The Observer” comes calling and Peter Sixsmith delivers. 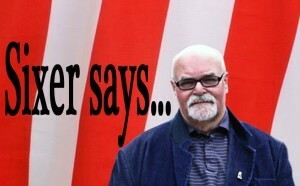 Every now and then, at regular intervals throughout the season, the broadsheet canvasses the opinions of a supporter of each Premier League club and SAFC is represented by our own correspondent. You can read the thoughts of his and all the others by following these links (Observer Fans’s Reviews Part 1 and Part 2) but if you’re not bothered about the rest, here are Pete’s thoughts below. 1) As we enter the final furlong, what is the mood among fans of your club about the season so far and what might happen before May 15? It is looking a wee bit grim. Our inability to keep hold of a lead at Southampton and Newcastle may well do for us. The next three games (West Brom and Leicester at home and Norwich away) will define the level that we play at next season. Seven points is an absolute minimum – and that includes a win at Carrow Road. This fan is worried. 2) What are your thoughts on how the manager is doing? He has done well with the poor materials that he was confronted with when he arrived. The players he brought in in the January window have improved us but the poor recruitment in the summer (M’Vila excepted) has made it very difficult. Sometimes Allardyce is a tad too cautious but the positives far outweigh any negatives. 3) Which players have been your biggest shining lights? Jake: the key to our survival, but can he please complete the big games? 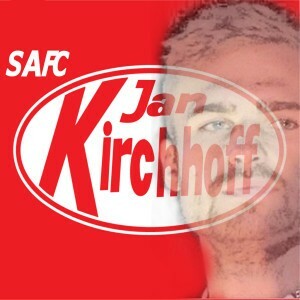 Jan Kirchhoff has been outstanding since he arrived in January and so has Lamine Kone. Had they been with us in August, we would not be in this mess. Vito Mannone has justified his No.1 spot and Jermaine Defoe continues to be a threat. Yann M’Vila has been a good player and also a well behaved boy. 4) Which players have left you unimpressed? 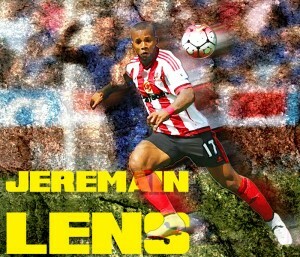 Some just are not good enough but Jeremaine Lens is and has not really shown for us. Jack Rodwell underwhelmed until recently but has been much more involved recently. We are actually playing some decent football – shame we can’t close a game out. Lens hasn’t lived up to his price tag – yet! 5) Where do you think your team will finish in the final table? 6) Who do you think will finish in these positions in the table (ie the top 4 and the relegated 3)? An Everton v Watford Cup Final could be advantageous.